Samsung Galaxy Note Edge which was launched along with the Note 4 and the smartphone to have the only Curved display in the world is going to be launched in India mostly by the end of this year. The Note Edge which is being sold in US for $946 should be available foe sale in India as well. The distinctive factor for Note Edge is the Display on the right side of the device which sort of flows down making it the curved display which is used to display many apps and other functions like seeing notifications and settings some short cuts to access certain apps on the go. This can be used to view notifications without turning on the display. And you can use it to see notifications while watching any videos etc. You can set alerts notifications etc just by swiping your thumb over it while the display is turned off. Note Edge comes with a 5.6 inch Super AMOLED display which comes with impressive Quad HD resolution. Looking at the size of the display and the device keeping the weight at a mere 174 grams is quite impressive by Samsung which can be because of the slim 8.3 mm thickness (dimension: 151.3 x 82.4 x 8.3 mm) even with the Edge display. The device is supported by a 2.7 GHz quad core processor and 3 GB RAM along with 32 GB of internal memory out of which 6GB will be used by the System and rest 26GB will be available to the user, it can further be expanded using the expandable storage slot which can be expanded to 128 GB using micro SD card support. The Note Edge is powered by a 3000 mAh battery and comes with fast charging facility. Coming to the Camera the Note Edge has a 16 megapixel rear camera with Smart Optical Image Stabilisation feature to prevent shake during mobile photography. The front is a 3.7 megapixel camera which has wide angle features upto 120 degrees. The device also comes with the S Pen which is famous for the Note series and makes it special. All the other features like WiFi, NFC, Bluetooth 4.1, USB 2.0 with MH functionality, and IR LED (remote controller) are all available with the Note Edge. 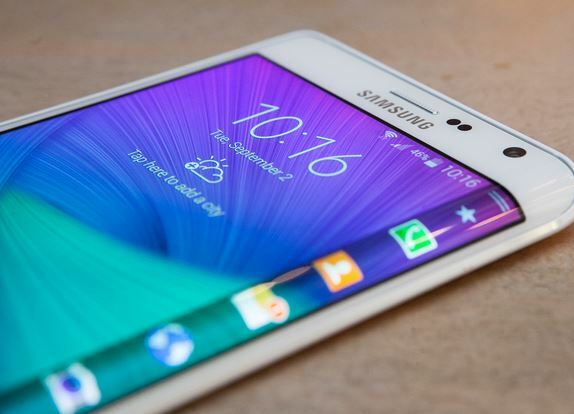 The Samsung Note Edge will be priced at Rs. 60,000 in India which is not yet officially announced by Samsung but expected because of the pricing seen in the US market.